This year, Gannon University’s annual Relay for Life participants will be fighting against cancer with their superpowers. The event will be held at the Recreation and Wellness Center from noon to 10 p.m. Saturday. This year’s event is titled “Super Relay” to inspire the community to continue supporting this cause and being part of it. The event encourages students to wear superhero costumes to help them fight against cancer. The American Cancer Society is a nonprofit organization that is fighting to achieve a world without cancer. This association supports cancer patients by providing them with 24/7 cancer helplines, free rides to treatment and tools to help cope with cancer diagnoses. It’s making breakthroughs in cancer research to find cures and improve access to care. 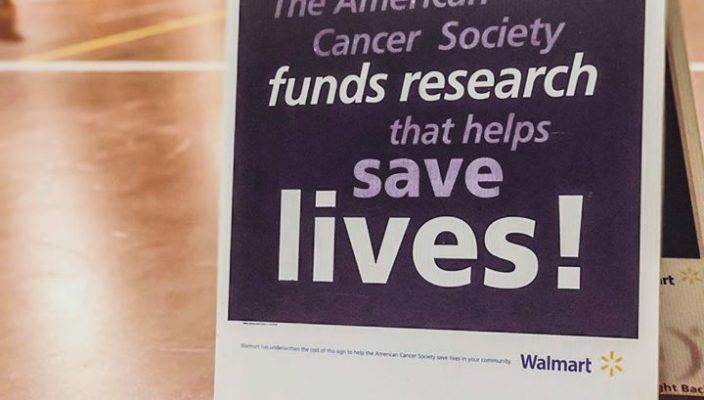 Events like Relay for Life help raise funds to support this association’s purposes and goals to continue contributing the best services for their cancer patients. Gannon has decided to join the effort through various groups such as the Honors program, Young Gannon Professionals, Resident Hall Association and LECOM SSP. 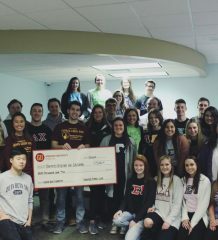 The largest group representation comes from Gannon’s Greek Life teams: Alpha Gamma Delta, Gamma Sigma Sigma, Delta Sigma Phi, Alpha Sigma Alpha, Alpha Sigma Tau, Tau Kappa Epsilon, Delta Kappa Epsilon and Zeta Beta Tau. Alpha Gamma Delta is one of the teams to fundraise the most amount of money so far. Gannon’s fundraising goals is half way there. 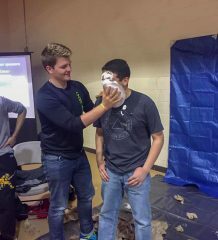 Nathan Maietta, a sophomore pre-med biology major and president of Delta Kappa Epsilon, said that to him, this event brings people together who want to make a difference, and that’s why he joined this organization six years ago in his hometown. “I chose to join Relay for Life here at Gannon because the spread of cancer awareness that events like this cause,” he said. He said that this year’s attendance is much higher than past years. “This year is superhero -themed, and everything is going perfectly so far,” Maietta said. 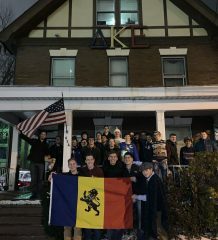 Randall Sutter, a freshman public service and global affairs major and a prospective DKE member, describes his decision to join the relay as growth experience. “I decided to join the event as an opportunity to grow closer to my potential new brother while helping an important cause,” Sutter said. Sutter said that he has experience with cancer in his family. Kirstin Grady, a freshman physician assistant major and a member of Alpha Gama Delta, is one of the many contributors for the event. Grady decided to join because she wants to help make a difference. “Cancer has affected many people’s lives, so I wanted to do anything I can to give back and make a difference,” Grady said. The relay will feature an opening ceremony at noon followed by the Survivor and Caregiver Walk. This section of the event is where those in attendance honor the courage and strength of cancer survivors, those who are still fighting the disease alongside their caregivers. The third part of the event is the Luminaria Ceremony where cancer patients are honored by writing a special message for someone who lost the battle against cancer or someone who is currently going through this situation. After it turns dark, each luminaria will be lit and a moment of silence will be observed to remember those who each message is dedicated to. This activity will help to cope and find closure and support for all of those affected. The event will finish with the closing ceremony where they will celebrate the day’s achievements and commit to helping the cause to have a better tomorrow for cancer patients. For those interested in joining the event, registration is open until the day of the event with a donation of $20 or the same day of the event with $25. Be a part of this great cause, wear your superheroes capes and join the fight against this evil disease.